HomePromotional project "Made in Ugra!" 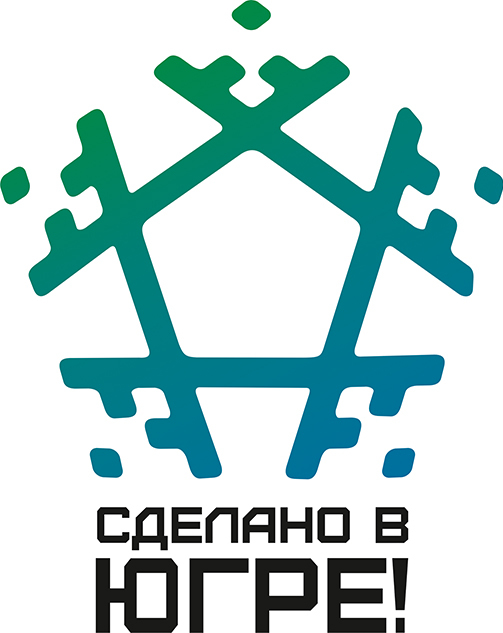 The III meeting of young entrepreneurs in September 2012 organized by Entrepreneurship Support Foundation of Ugra, held a contest for the best logo "Made in Ugra". 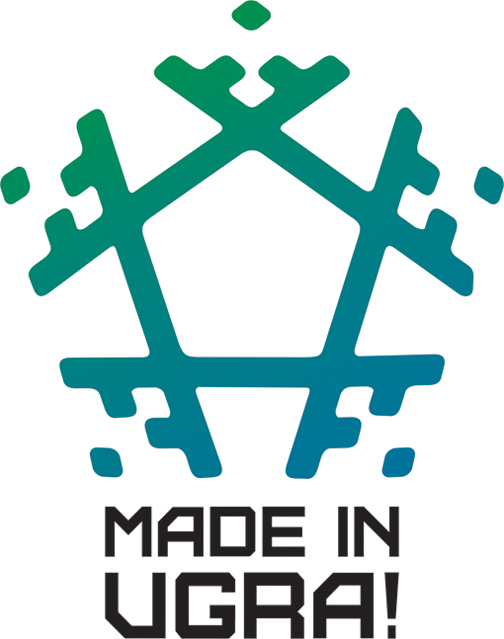 According to the Regulations of the contest, the ideas embodied in the logo had to create a favorable image of the products manufactured by the small and medium enterprises of Ugra, generate a positive perception among residents of the autonomous okrug, as well as other regions and countries. The Contest Committee included the representatives of Entrepreneurship Support Foundation of Ugra, the Department of Economic Development of the autonomous okrug and leading Russian experts in the field of marketing and design, such as Samvel Avetisyan - Managing Partner of Marketing Company "ArchIdea" the creator of brands "Tekhnoshok", "Picador", "Mistress Dream", "Daria", "Father - Tsar", "Tinkoff", "Tekiza», Zooom. The Contest Committee chose the winner - "Garlee Group», LLC Surgut advertising and design studio. According to the terms of the contest, copyright and other proprietary rights to the submitted projects were passed to the Entrepreneurship Support Foundation of Ugra. The successor of copyright and proprietary rights to the logo "Made in Ugra!" - Foundation "Support Center for Ugra Export" took over the implementation of a marketing project "Made in Ugra!" in the second half of 2013. The goal of project is to promote in other regions and countries the products and services of local producers - small and medium enterprises under the brand "Made in Ugra" and recognition of this brand in foreign markets. Project mission is to create a positive image of regional producers among residents of the okrug and nationwide, as well as among foreign consumers. Currently the application of Support Center for Ugra Export for state registration of the trademark "Made in Ugra!" accepted for review by the Federal Service for Intellectual Property. Products manufactured by small and medium enterprises of the autonomous okrug, which meets all quality standards, will be labeled with trademark "Made in Ugra!" after registration of this trademark. © Foundation "Coordination Centre of support for Ugra export-oriented small and medium enterprises"